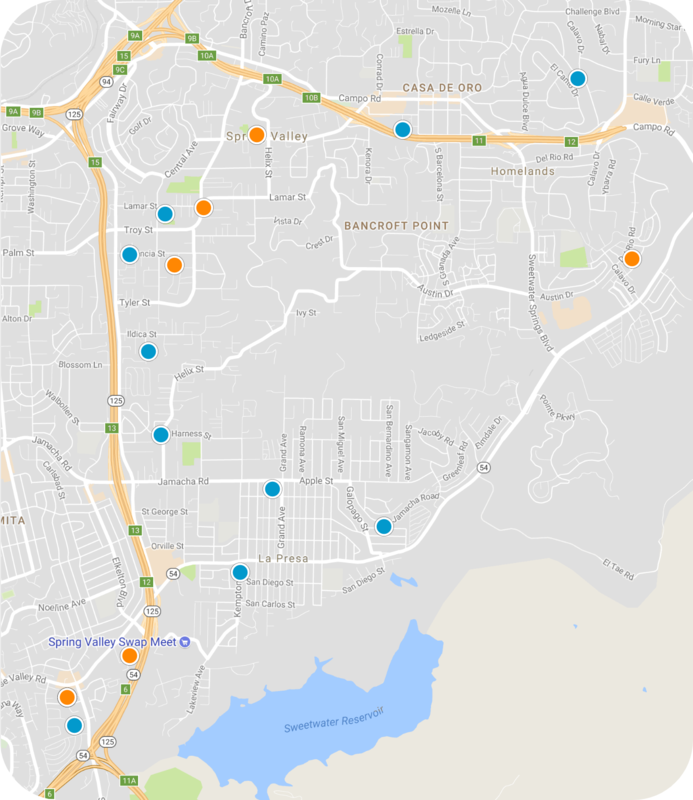 San Diego Home Sales website search offers all Spring Valley homes, condos and foreclosures for sale. You are able to get new property listings daily that meet your search criteria. 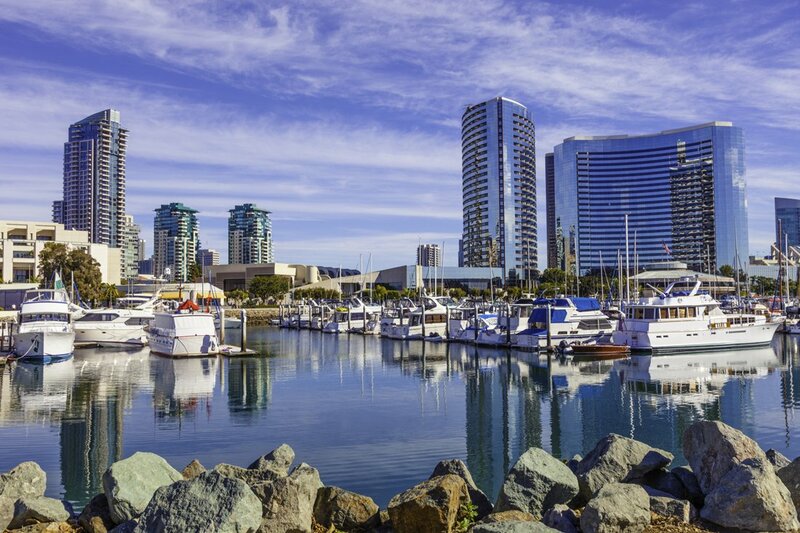 A large but unincorporated area in the San Diego area, Spring Valley, California, is a fast-growing area just miles east of Southern California's Pacific shores. The area includes the neighborhood of La Presa and parts of Casa de Oro. In 2000, the community was measured to be home to a population of around 60,000 residents, including two census-designated places: Spring Valley and La Presas CDPS. The land takes up an area of just over seven square miles. The median household annual income for residents of Spring Valley was estimated at the 2000 census to be just under $50,000. The community lies just south of La Mesa, and just a mile or so from Interstate 8, giving residents easy and quick access out into other parts of the region. It is bounded by Lemon Grove, La Mesa, Casa de Oro, and the Sweetwater Reservoir. Spring Valley sits between two major roads, State Highways 94 and 125 and it is just about 10 miles east of downtown San Diego. Cuyamaca College is just minutes east, while other great schools like Grossmont Community College, San Diego State University, the University of California at San Diego and University of San Diego are nearby. Grossmont Hospital is just north of the community, in La Mesa. There are two school districts with jurisdiction over the public educational institutions. The La Mesa Spring Valley district oversees elementary and middle schools, while the Grossmont Union High School District oversees Helix Charter High School, the Gateway Community Day School and the Gateway West Community Day School. There are a few private schooling options as well, including the San Diego Jewish Academy, the Liberty Charter School and the Christ Lutheran School. San Diego State University is just west of the city.